Out this week, a special Judge Dredd story! There are only a few comic book writers who can truly do hard-boiled detective stories with compelling characters – and John Wagner is one of them. Mandroid is a full-colour Judge Dredd classic in which Wagner’s taciturn lawman must deal with a veteran space commando out to revenge the death of his family. A story filled with action, pathos, and tragedy, the first story is complemented by Kev Walker’s incredibly atmospheric art. 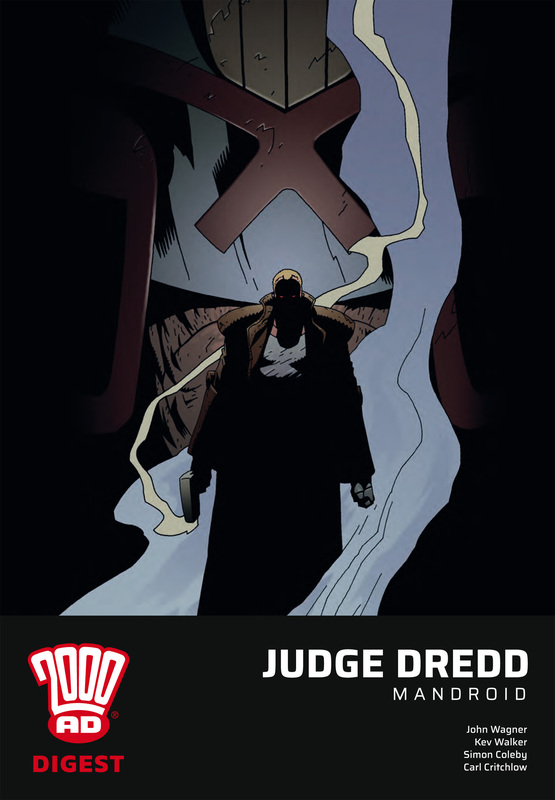 These digest-size editions are ideal gifts for people looking to get into reading Judge Dredd and Mandroid is a modern classic that demonstrates the series’ breadth and depth. his family are subject to a vicious attack. He decides to take the law into his own cybernetic hands, but there’s only room for one law in the Big Meg… and Judge Dredd’s on the case! A brilliant slice of classic Judge Dredd in the popular digest format from the master writer John Wagner and no-holds-barred action from Kev Walker, Simon Coleby, and Carl Critchlow.